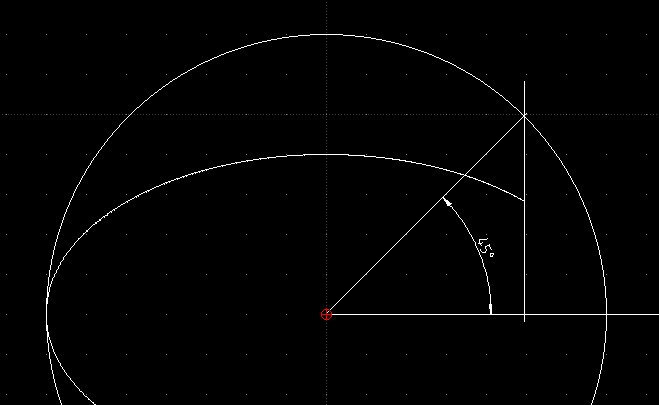 LibreCAD-user - What is the start angle of an elliptic arc? What is the start angle of an elliptic arc? However for an elliptic arc it is not clear to me what the meaning of a 45° "start angle" would be. The following elliptical arc has a start angle of 45° (set by me in the properties), but what does this start angle mean? Re: What is the start angle of an elliptic arc? Maybe the naming "start angle" and "end angle" is not optimal. In DXF reference these values are named "parameter" instead of "angle". Basically these values are angles, the range is from 0 to 2*PI, respective 0° to 360°. The formula how start/end points are calculated, is explained in DXF reference too. Therefor the angles match with the circular arc in the X/Y axes (0°, 90°, 180°, 270°), because in these corner cases one of the operands (sin(0°/180°), cos(90°/270°)) becomes 0. 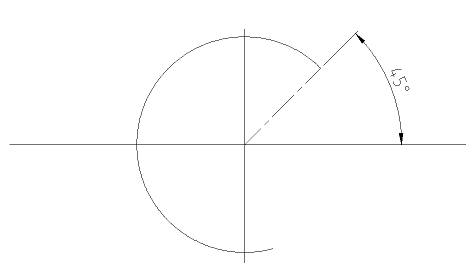 An ellipse is a distorted circle. Draw a circle in the center of the ellipse with the radius of major axis. Then construct the intersection of a 45° center ray with the circles circumference and draw a line parallel to the Y axis through the intersection point. 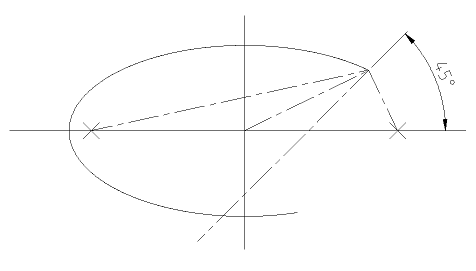 Where the vertical line intersects the ellipse is the calculated start/end point.